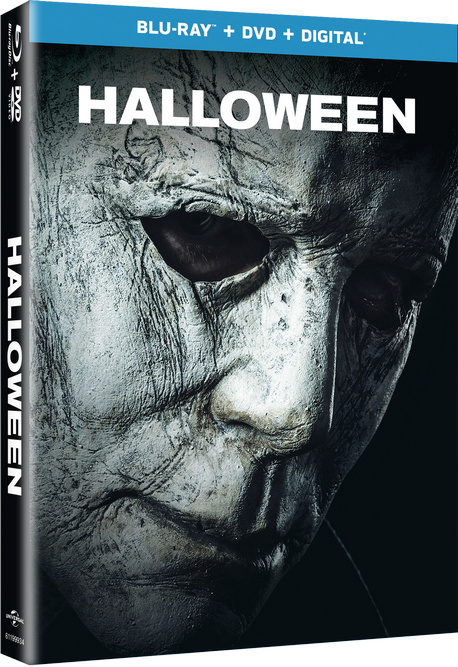 We received a copy of Halloween (2018) for review and to inspire the creation of this Halloween Inspired Movie Night Guide. One of our favorite things to do on a Friday night is watching movies at home. The home release of Halloween today got us thinking. How would we do a Halloween inspired movie night? For starters, we’d watch both Halloween (1978) and Halloween (2018). That isn’t all though, we’d also pair it with some delicious food. Lucky for you, we have a few recipes up our sleeves. 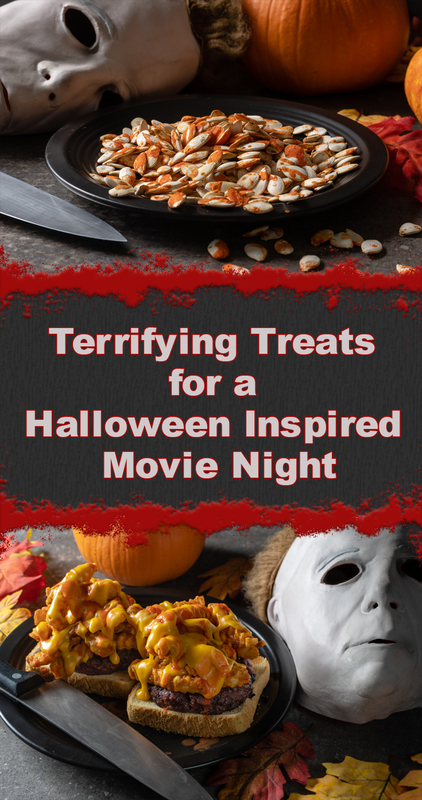 So just how does one plan the food for a Halloween inspired movie night? As we mentioned earlier, this past fall we created 2 recipes inspired by Halloween (2018) and Halloween (1978). When paired together and with a few ciders or a bottle of wine, these recipes are perfect for a viewing of both Halloween films. Haddonfield Horseshoes– This regional treat is popular in the area where Haddonfield would be. The more hot sauce you add, the gorier the effect will be. The great thing about the Haddonfield Horseshoes is that it is a full meal all in one. 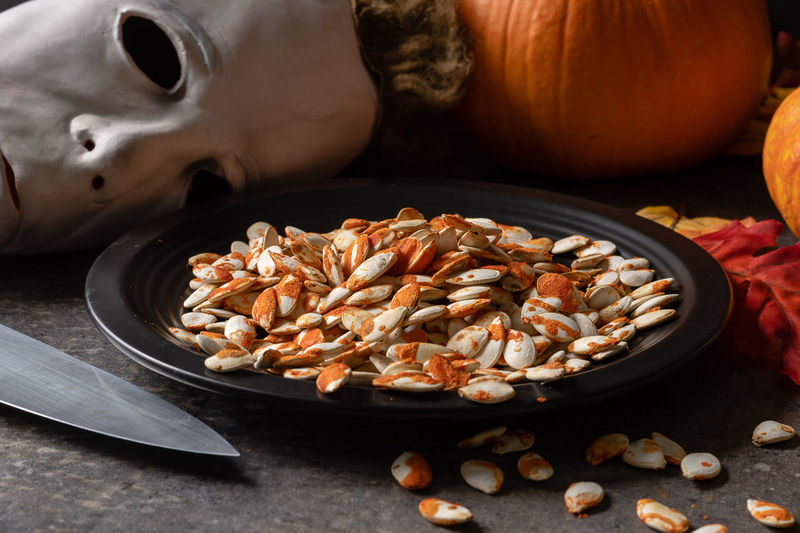 Blood Spattered Pumpkin Seeds– What kind of movie night can you possibly have without snacks? While popcorn is all well and good, pumpkin seeds are far more appropriate for a Halloween viewing. This recipe is addicting! You’ve been warned. Not to mention, we also grabbed a fun interview with executive producer Ryan Turek. The special features in Halloween are super interesting and worth checking out. Our only complaint is that they aren’t nearly long enough. We would have loved to have seen more of The Original Scream Queen, The Sound of Fear, and Journey of the Mask. We also would love to hear from more people who were involved. *cough* Ryan Turek *cough* That being said, we enjoyed what was offered. Halloween is now available on 4K Ultra HD, Blu-rayTM, DVD and On Demand. Be sure to pick up your copy today! What are some of your favorite movie night treats? Let us know in the comments below or tag us on social media. Be sure to also use the hashtag #GeekEats! 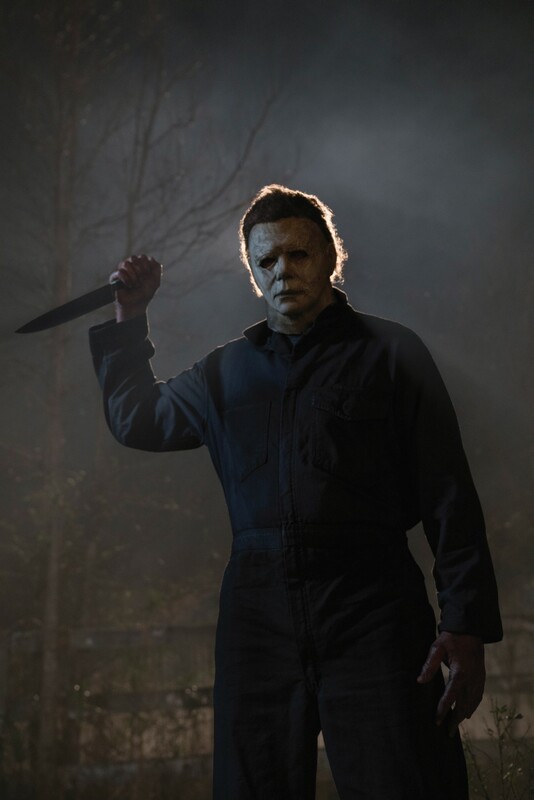 The Geeks were provided with a copy of Halloween (2018) for research purposes. All opinions are wholly our own. View our Disclosure Policy for more info.